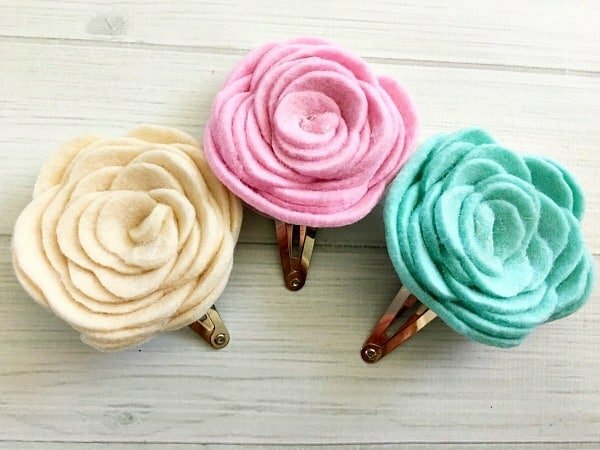 Homemade hair clips ideas, like these felt flower clips, are a fun and frugal way for super busy moms (like you and me) to look fashionable! As a working mom, I rarely have much time to spend on my hair. On a good day, I get about 10 minutes, so I’m always on the lookout for quick hair styles. In the past, I’ve been a fan of using DIY sea salt spray to get a tousled, beachy look. I also like to use hair clips as they’re quick, cute, and keep hair out of my face. Instead of spending a bunch of money on hair clips, I’ve been searching for homemade hair clips ideas. 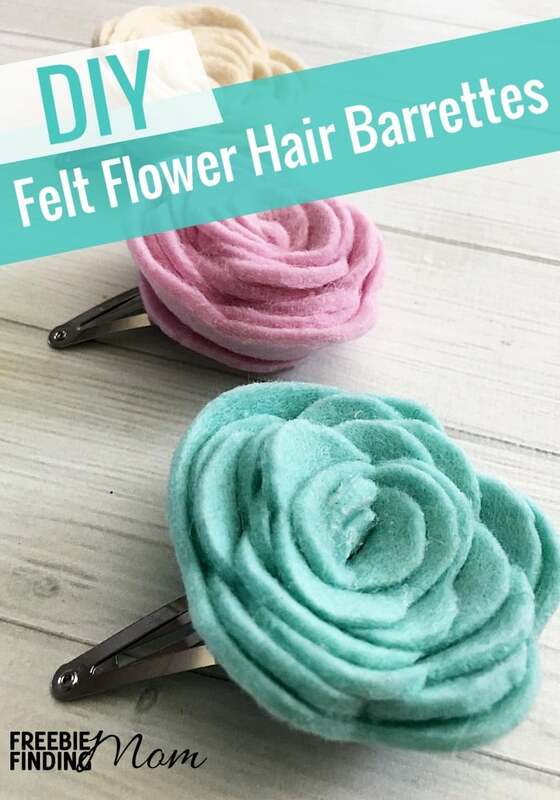 These DIY hair clips made from felt flowers are one of my favorite. 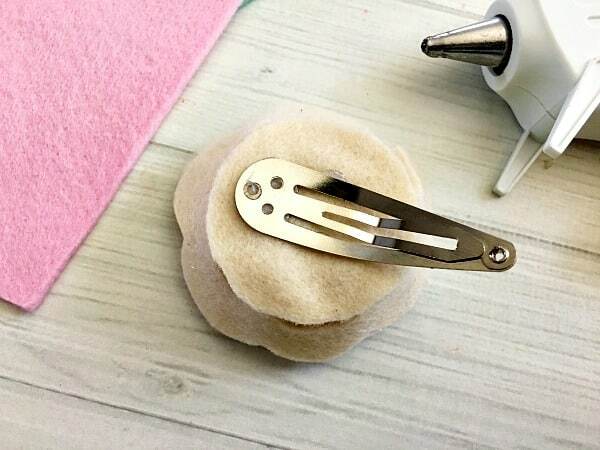 There are a lot of homemade hair clips ideas out there. (Pinterest alone is a treasure trove of inspiration). However, I’m particularly fond of these flower DIY hair clips because they’re so easy and inexpensive to make. I’m also a fan of their simplicity, which makes them easy to pair with a variety of styles. Another thing I like about these DIY hair accessories for girls (or women) is that they can be made in any color you can find felt in, so your options are pretty varied. 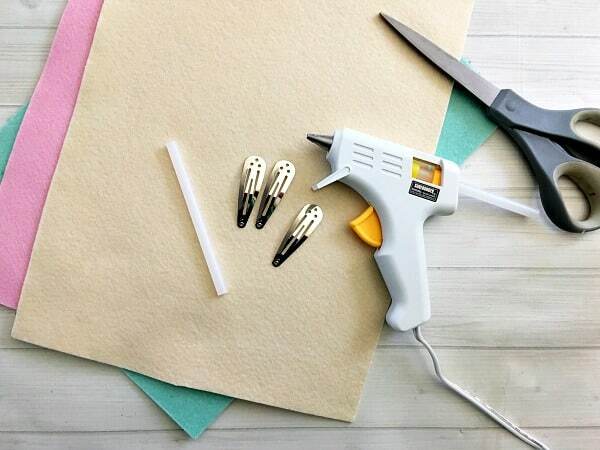 Tip: These DIY hair clips make inexpensive and cute gifts. 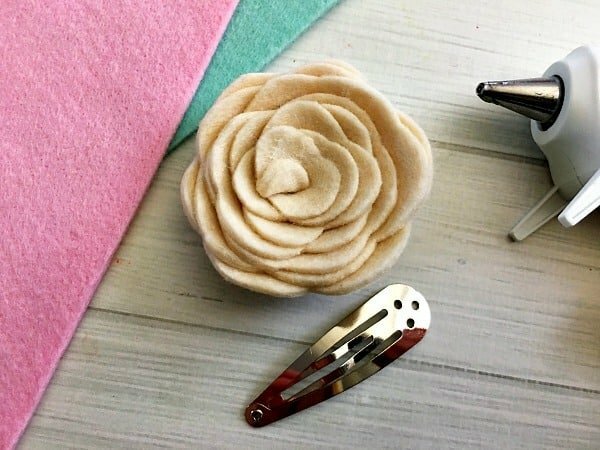 This homemade hair clips idea is pretty quick and easy to make and you’ll most likely have leftover felt after making yourself a flower clip, so consider making a few extra. If you have a little princess in your life, I think you could put together a really adorable gift basket consisting of this DIY hair accessories for girls (1 or 2 felt flower clips), a “girly” brush, and a container of DIY hair dentangler. 1. Place cardboard circle on felt and trace with a pencil. 2. Cut the felt circle out using sewing scissors. 3. Using the sewing scissors, give the outside of the felt circle a scalloped edge. 4. 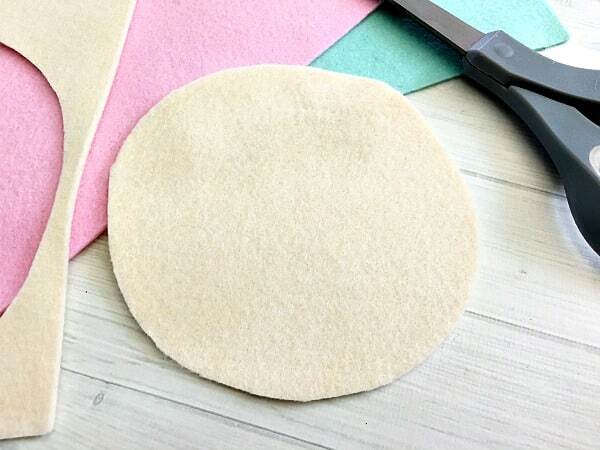 Cut the circle into a scalloped spiral, moving the felt as you cut each scallop. 5. Roll and carefully hot glue the center and continue to wrap and glue the scalloped piece of felt around until you reach the end. 6. Secure the end with glue. 7. 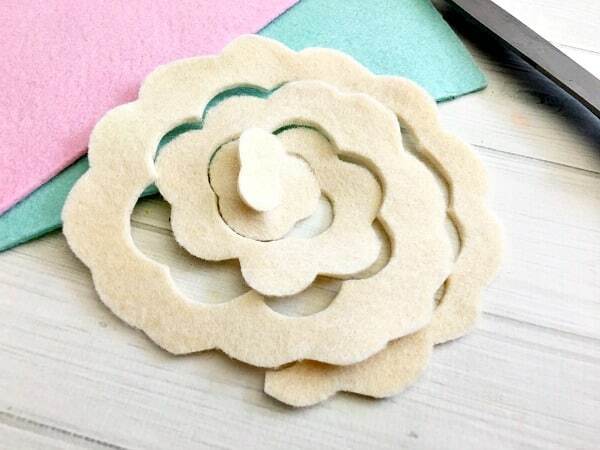 Select a matching piece of felt and cut out another circle that will fit on the back of your flower. 8. Secure the circle to the back of the flower with glue. 9. Glue the rounded end of a snap clip onto the back of the flower. 10. Wear your DIY hair clips! Do you have any super cute homemade hair clips ideas? I’d love to check them out… please share in the comments. If you had fun tackling this homemade hair clip idea and want more DIY hair accessories for girls, be sure to follow Freebie Finding Mom’s Hair and DIY Fun Pinterest boards.